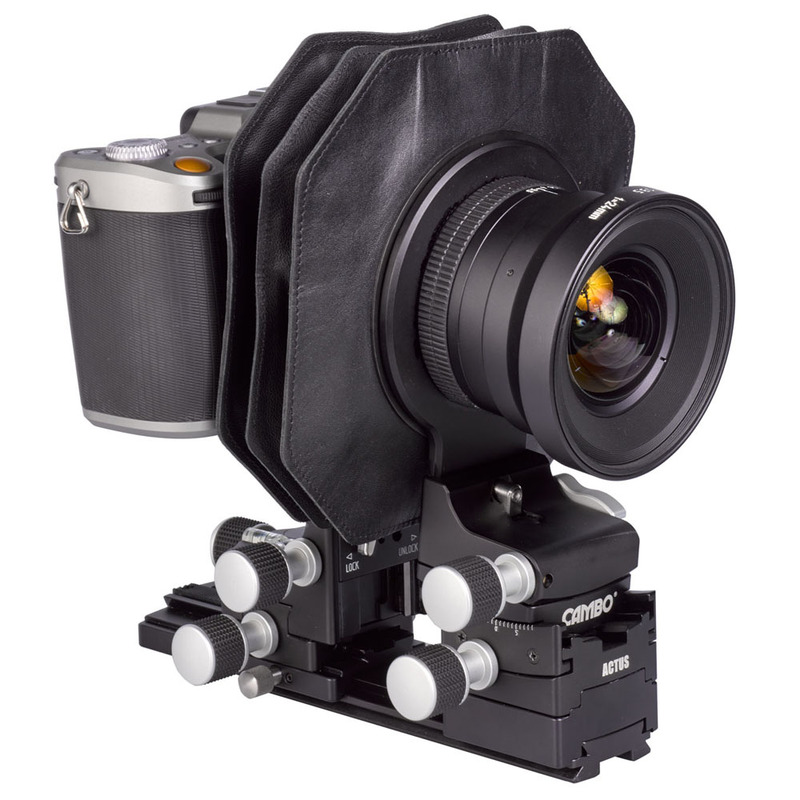 Cambo has designed a modified version of the Cambo ACTUS series, in order to host the lately modified Hasselblad X1D camera body on the ACTUS platform. As the X1D bayonet is larger than the ones of the previously used camera bodies, this version is different from the current Actus-Mini, albeit that this new addition is backwards compatible to host all previous DSLR and mirrorless small format cameras that were already supported, including the same same monorails, bellows, ACTAR lenses and adapting lens plates. This XCD version is based on the Actus-G series and has an quickly interchangeable bayonet.